I’m not very experienced with false lashes, I always think they are a bit too much of a faff to bother with. But then I see others wearing them and think they look amazing. So when a selection of the new Superdrug false lashes arrived on my doorstep I honestly wasn’t sure I was ever going to be able to use them, but then one evening I was getting ready to go out to celebrate my birthday with friends and decided to give them a go. So here’s my attempt at falsies. I kept the rest of my make-up simple. I used a liquid liner to make sure there weren’t any visible gaps with the falsies and my natural lash line. The liner actually deserves a post of it’s own, it’s from Miners and was so easy to apply – loved it. Anyway, back to the lashes – I loved them, especially in the pics on the night out. Close up they look quite dramatic (the boyfriend said I reminded him of a giraffe…with uber long lashes) but in photos I thought I just looked like I had amazing lashes, but not to the level of looking drag-queen. Not a too dramatic effect. Me on the left of the pic! Before I applied I trimmed the lashes down so they fit my eyes, and once applied it took about an hour for my to get used to wearing them. They stayed in place all night and I almost forgot I was wearing them. 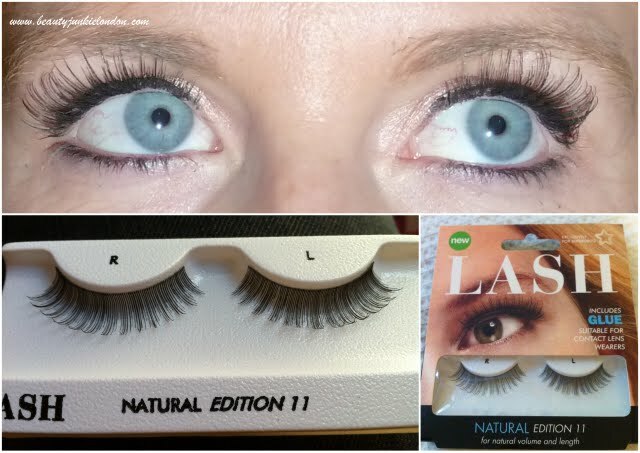 I think I might just be a lash convert!